What Hand Does An Engagement Ring Go On? Not sure which hand your engagement ring goes on? You’re not alone. With all of the traditions and superstitions that surround which ring goes where, it’s easy to get confused. 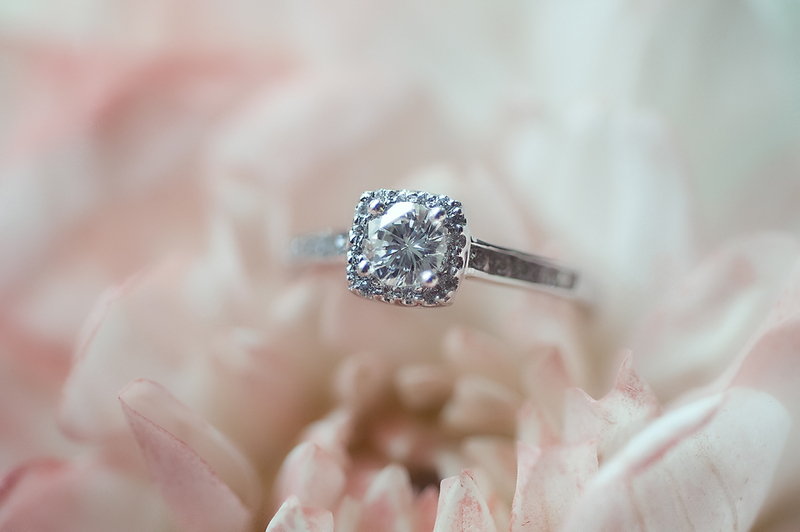 In this piece, we’ll uncover some of the facts (and folklore) surrounding engagement rings, wedding rings, diamonds, and more, so that you can rock your rock (correctly). Wearing an engagement and/or wedding ring on the fourth finger of the left hand is well agreed on in the United States — but why? It turns out, it’s a sweet, but false, story. The ancient Romans believed this finger, and this one only, had a vein that ran directly to the heart. In fact, they named it the Vena Amoris, or “Vein of Love.” It seemed fitting then that couples would declare their love for one another by placing bands on this hand, feeling that love is as vital as a beating heart. Modern science, heartbreaker that it is, tells us that there isn’t actually a Vena Amoris, but the tradition stuck. This is the earliest and most commonly believed origin as to why we wear the engagement and wedding ring on the fourth finger of the left hand. However, there are several countries where the ring finger of the right hand is the more popular choice for brides and grooms to wear their rings. Russia, Greece and Colombia declare it their tradition, but many countries and regions throughout Europe also partake in right-handed ring wearing. What Finger does the Engagement Ring Go On? 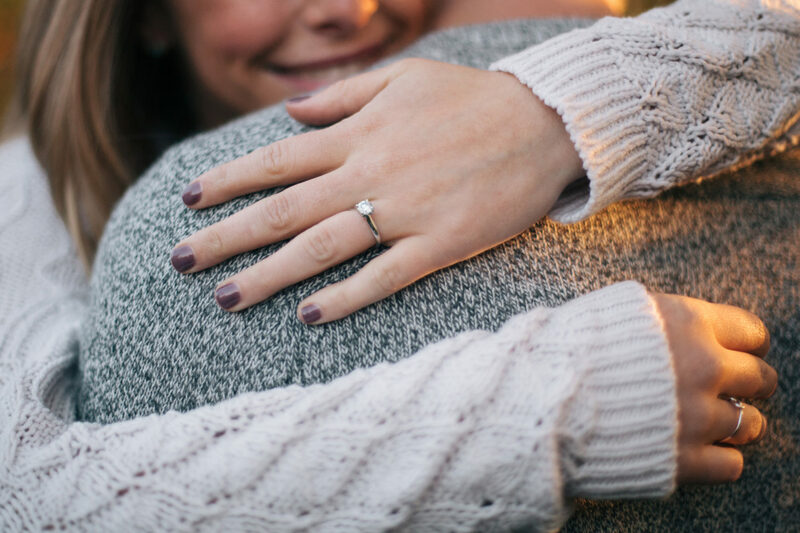 While they’re a staple in today’s relationship timeline, it actually wasn’t until more recently in history that engagement rings gained popularity. However, in the short time that brides-to-be have been wearing engagement rings, tradition has become that they don the fourth finger on the left hand — staying true to the Vena Amoris. When it comes to engagement rings, they’re recognizable not just by which finger they live on, but also by the way they look. Because it wasn’t that long after engagement rings became popular that the world became obsessed with diamonds. A diamond is the hardest and most durable naturally occurring substance found on Earth, making it the perfect choice to represent enduring, everlasting love and the promise of forever. Moreso, every diamond is also incredibly rare and unique. That gives them a hefty price tag, but also means that no two are alike, just like every love story. Most people are familiar with the meaning of a circle. With no beginning or end, it has become a symbol of eternity. What most people don’t know is that the hole in the center of the ring also holds significance—it’s not just space, but rather a gateway or door. When you give a woman a ring, it signifies immortal love. Pretty symbolic stuff. A bride and groom typically exchange rings during their wedding ceremony, placing the ring on each other’s wedding ring finger—the fourth finger of the left hand—after saying their vows. There are no rules on which metal your wedding rings must be made of, or whether or not they should match. You can opt for simple bands or more elaborate ones with stones or designs. Some couples choose to have their wedding date or a romantic phrase inscribed in their bands. Once you officially tie the knot, it’s common practice to wear your wedding band closer to your hearts, meaning your should slide in on below the engagement ring. Some brides even have the wedding band soldered to the engagement ring, so it becomes one piece of jewelry, and represents the marital bond. But when it comes down to it, after the wedding day, wear your engagement and wedding rings however you like them best. While the most popular way in the US is to have them both on the ring finger of the left hand with your wedding band first, you can separate them and wear them on opposite hands, or you can wear your wedding band solo.